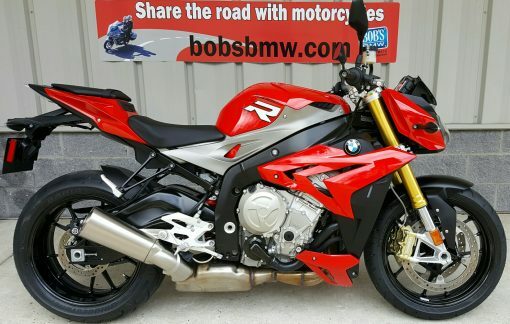 Take a look at this beautiful, like new, 2016 S1000R with only 3,391 miles on it! 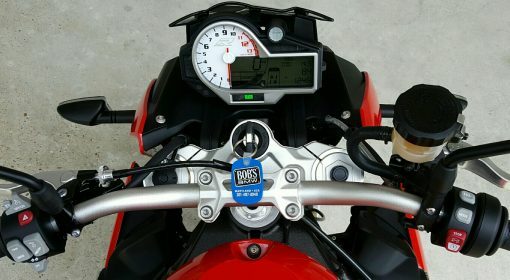 The previous and only owner had the bike for just over a year. 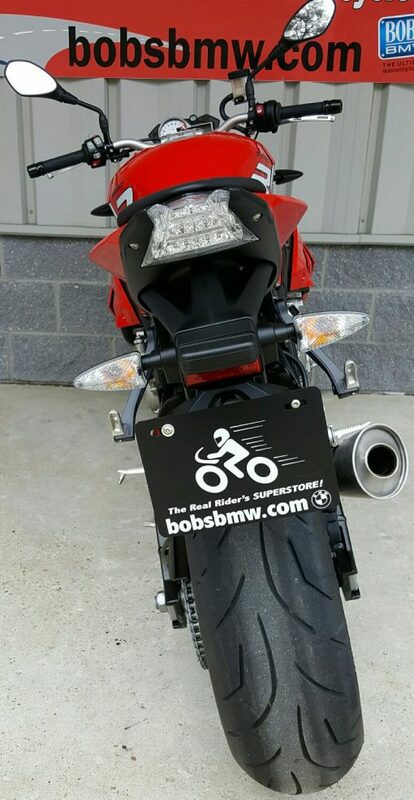 He bought the bike new from Bob’s BMW, and all services, including the initial BMW PDI (Pre-Delivery Inspection) were completed at Bob’s BMW by our Master Certified technicians. This S1000R came from BMW in Germany equipped with the full premium package. 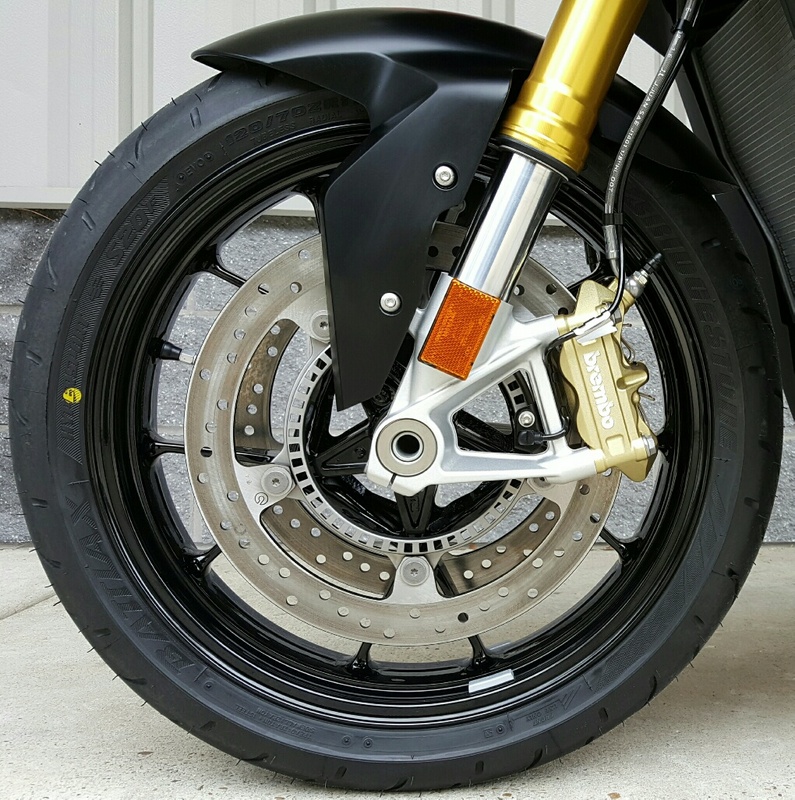 It has DTC (Dynamic Traction Control), ride mode pro – comprising two additional riding modes – “Dynamic” and “Dynamic Pro” – for road and track use, heated grips, engine spoiler, gear shift assistant (upshifting without using the clutch), DDC (dynamic damping control – electronically controlled damping system for optimal, dynamic adaptation of damping to the current riding situation and to the load the bike is carrying) and cruise control. The S1000R comes with an aluminum fuel tank for weight savings. 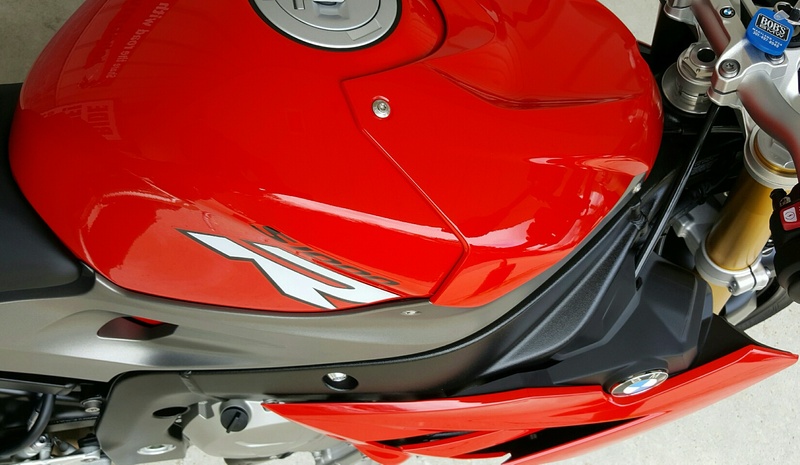 The riding position which is both comfortable and sporty along with the fantastic handling for stability at high speeds and braking. The S1000R is a 999cc, in-line four cylinder capable of generating 165 hp at 11,000 RPM and 84 ft-lbs of torque. 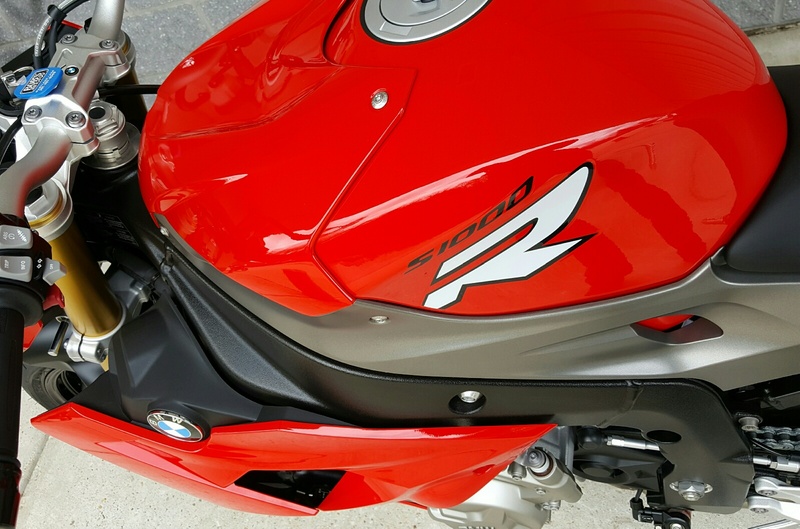 The single R is capable of exceeding 125 mph. Despite all that power it can get up to 44 mpg. 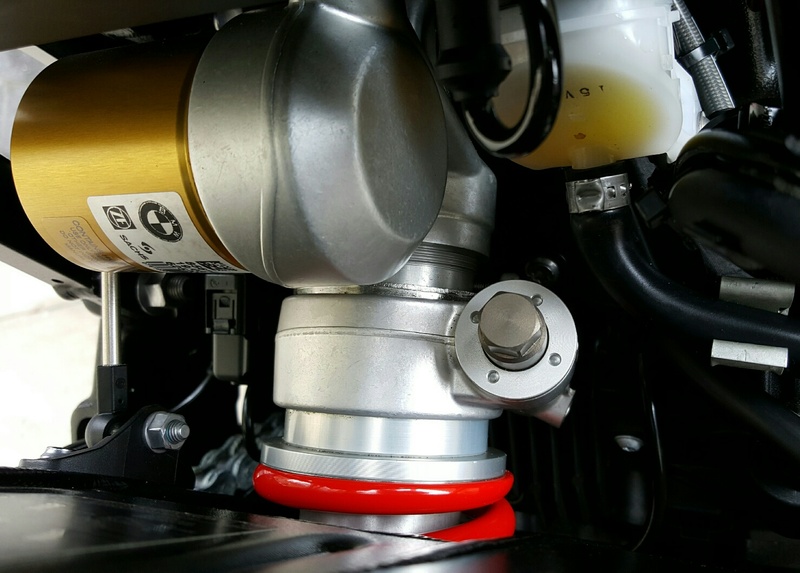 As with all modern BMW’s, the S1000R comes stock with a full ABS system. 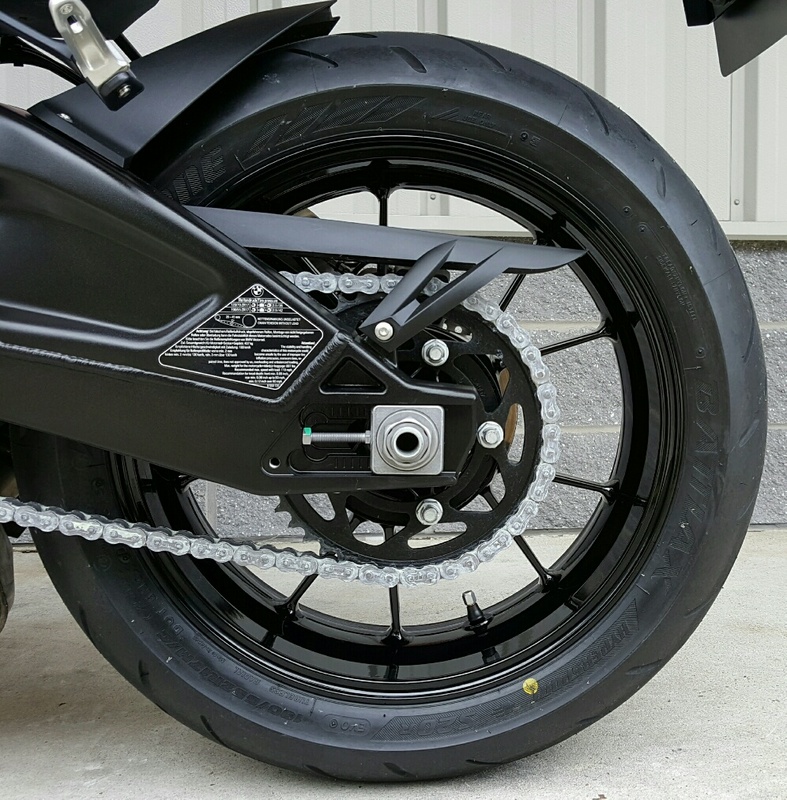 It is part integral braking, meaning if you engage the front brake the rear brake is also engaged. The ABS can be turned off. 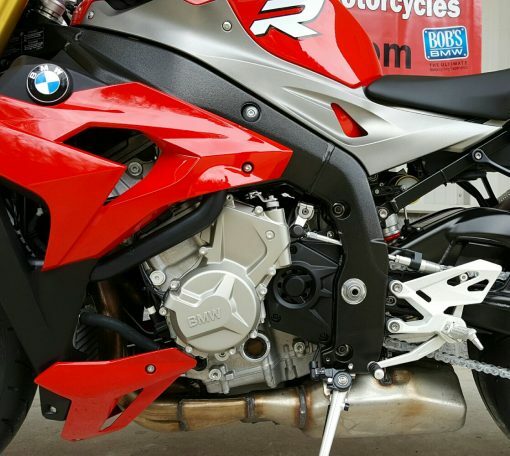 It has dual floating front disc brakes and a single rear disc. It comes with cast aluminum wheels and upside down telescopic forks. The seat height is 32 inches. 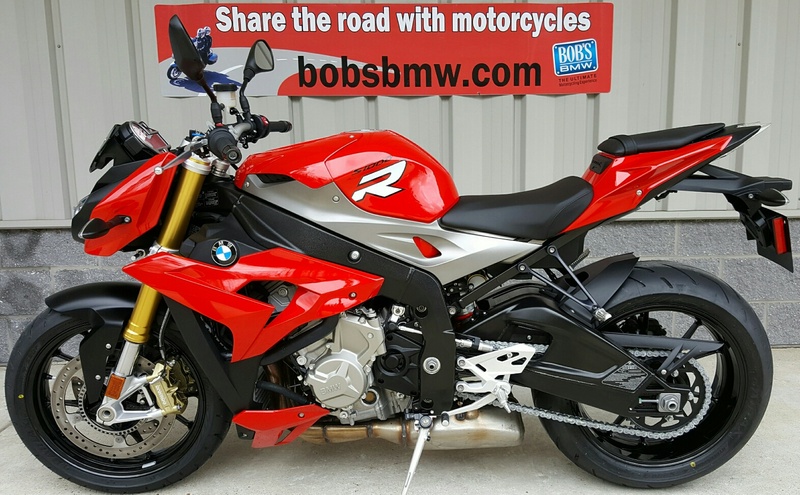 This S1000R is super stock. 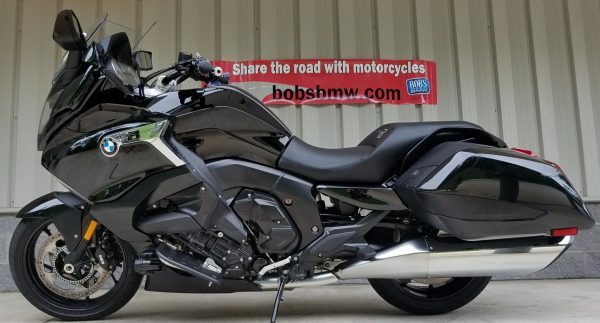 With only 3,391 miles it is almost a new bike. 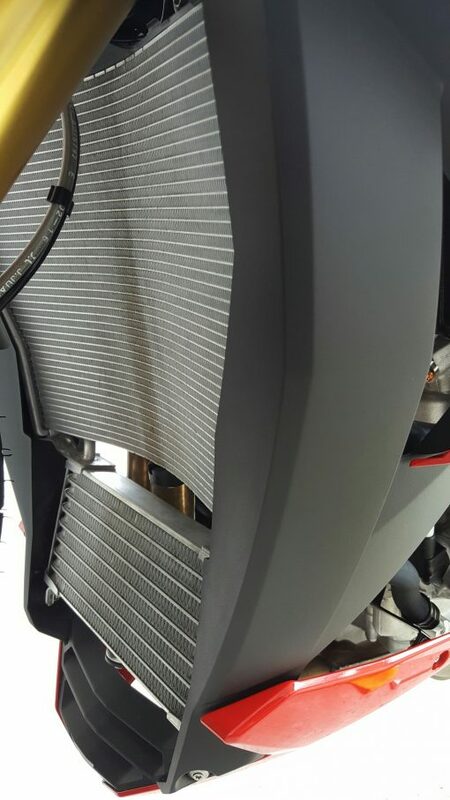 The previous owner had us add a pigtail in the passenger seat section and a BMW belly tank pad to protect the paint. The Racing Red stock paint looks like new and the overall condition is a 9.5 out of 10. We did replace the right hand painted panel because of some scratches. There is some signs of use and a couple boots marks and some small finish imperfections on the foot pegs etc. 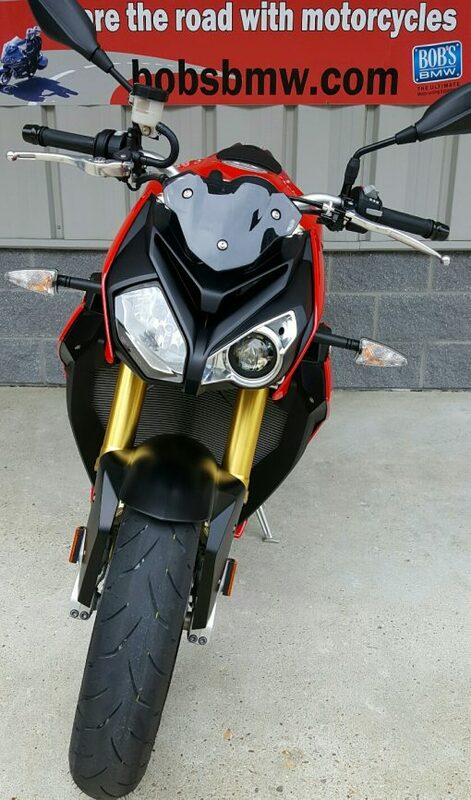 Overall, after our professional detailer put in a full day’s work the bike came out looking great and ready for its new owner. 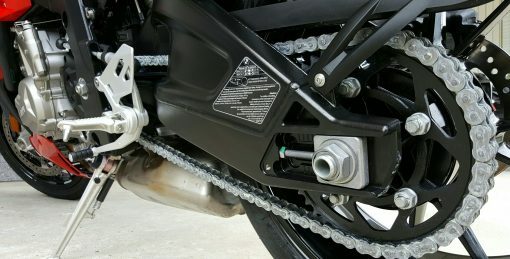 Our master certified technicians completed the 600 mile break in service last year and this year we completed a full annual service including oil and filter change, adjusting and cleaning the rear chain, checking the computer for faults and resetting the service calendar for one year from now and or 6,000 miles. We then did the Maryland State Inspection which it passed with flying colors. We also completed our 38 point safety inspection, took the bike on an extended test ride. 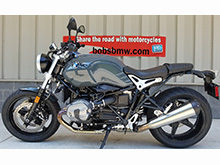 The bike is still under BMW’s 36,000 mile / 3 year warranty. The warranty will remain current for the next owner until 03/2020 or 36,000 miles, whichever comes first. 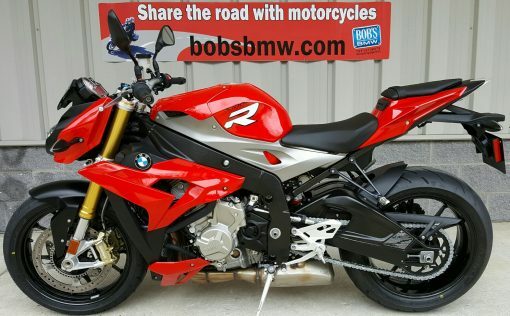 This bike does qualify as a Bob’s BMW Advantage Certified pre-owned motorcycle. That entitles the next owner to special pricing on a vehicle service contract and or tire and wheel protection from Zurich. It also guarantees the motorcycle from major mechanical defect for 30 days or 1,000 miles. 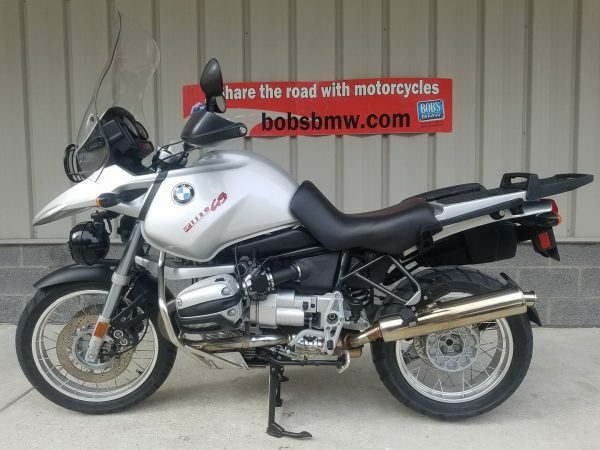 And as an added perk, this BMW qualifies for a service loaner at no charge while the bike is under warranty with either BMW or one of the Zurich service contracts. That’s an additional $75.00 a day value. The S1000R comes with 2 keys and the original owners books. Please contact one of our certified BMW sales advisors today!